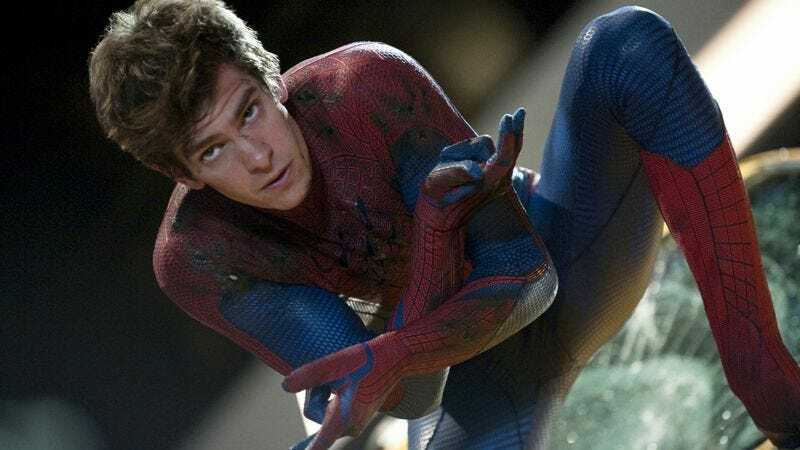 Looking for some way, any way to bring attention to the first of many planned sequels to a major comic-book movie franchise about one of the medium’s most famous superheroes, The Amazing Spider-Man’s Andrew Garfield has repeatedly offered some headline-grabbing musings on Spider-Man’s true identity. First, there was the suggestion that maybe he’s gay (or at least bisexual). Now Garfield tells The Daily Mail that Spider-Man is both Jewish and Jesus, in an article titled, “Oy vey! Spider-Man is Jewish – he’s a neurotic New Yorker who lives with his aunt, says actor who plays him,” because The Daily Mail is awful. The debate over Spider-Man’s religious identity is a long and well-documented one, with the frequent depiction of Peter Parker’s family as Protestants in the comics repeatedly answered by others asserting that he is, nevertheless, clearly Jewish—mostly based, as it was in Rabbi Simcha Weinstein’s book on the subject, on the fact that he’s a guilt-ridden nerd who lives in Queens. Garfield’s own take is fairly similar: “He ums and ahs about his future because he’s neurotic. He’s Jewish. It’s a defining feature,” Garfield says, adding, “I hope Jewish people won’t mind the cliche, because my father’s Jewish. I have that in me for sure.” There’s also the fact, as pointed out in an episode of Friends, that his name is Spiderman, which, come on. Garfield’s interpretation of The Gospel According to Aaron Paul aside, the analogy seems like a strange one—apparently based entirely on both Jesus and Spider-Man both being “awesome,” while also having lots of people who want to kill them. Still, you have to admit that both Jesus and Spider-Man have issues with absentee fathers. Also, hearing their origin stories all over again has become an annual tradition.